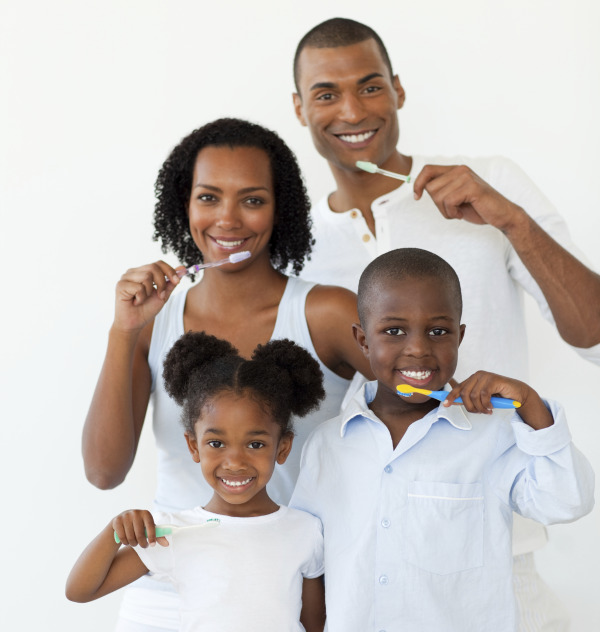 The dental office of Dr. Jackson L. Anderson is prepared to meet the oral health needs of your entire family. We strive to make the first appointments of our youngest patients a positive experience, and we listen to the preferences and concerns of our older patients. If you need routine exams, look to enhance your smile, or face compromised dental health that comes with maturity, meet with Dr. Anderson. He has been in the Colorado Springs area for over thirty years and combines expertise, experience, and a compassionate approach to deliver quality treatment for the entire family. We like to begin seeing young patients at three years of age, so they develop positive associations with the dentist. Young children are encouraged to visit us before their appointment to familiarize themselves with our team and become comfortable at the dentist office. A child may prefer to remain on a parent’s lap during treatment, which can improve comfort for children. e health of baby teeth and make sure that the permanent teeth are developing properly. During this time, oral health issues caused by tongue thrust or thumb sucking can be addressed, and fluoride treatment and sealants can be applied to keep baby teeth healthy. Older children and teenagers need routine visits for professional cleanings and the early treatment of tooth decay. Dr. Anderson offers both amalgam fillings and tooth-colored fillings to treat cavities. At this stage, the dentist provides plenty of advice on how to care for teeth properly through diet and healthy habits. Dr. Anderson also evaluates patients for the potential need for orthodontic care. Dentistry for adults provides care of teeth and gums. Deep cleanings prevent gum disease from advancing by cleaning built-up tartar and plaque from below the gum line. Inlays and Onlays offer a natural looking restoration for teeth, covering chips, cracks, and cavities. Root canal therapy treats for advanced tooth decay, and Dr. Anderson always tries to preserve the health of existing teeth. The dental office of Dr. Anderson also provides cosmetic services for people interested in enhancing the appearance of their smiles. In-office and at-home teeth whitening are available and lighten teeth by several shades. Veneers also dramatically add appeal to your smile using wafer-thin porcelain shells that are placed over teeth. Finally, Dr. Anderson is very experienced in providing treatments for those experiencing tooth loss. Dentures are expertly fitted and designed for natural smiles. Dental Implants provide another alternative to tooth loss, and patients are thrilled with the natural function and enhanced appearance dental implants provide for them. Give Dr. Anderson a call in the Colorado Springs area, and begin a relationship with a dentist who can gently treat you throughout your lifetime. With 30 years of service to the neighborhood, you can put your trust in Dr. Anderson.